Pacifica Hotels paid $25.5 mil for Residence Inn by Marriott Anaheim Hills Yorba Linda, a 128-room ($199k/room), select-service extended-stay hotel in the Orange County city of Anaheim. Residence Inn by Marriott Anaheim Hills Yorba Linda is at 125 South Festival Drive in Anaheim along the southern edge of California Highway 91 and approximately 20 miles from the John Wayne International Airport, which services more than 10 million annual passengers. The hotel is also adjacent to the Anaheim Hills Festival Shopping Center and proximate to the Deer Canyon Park trails and the Chino Hills State Park in addition to other Orange County-area demand drivers, including Honda Center, Disneyland, Angel Stadium of Anaheim, Anaheim Convention Center and the Orange County Zoo. Completed in 2002, the wood-framed Residence Inn by Marriott Anaheim Hills Yorba Linda comprises one common area building and two guestroom buildings. The hotel features a meeting room, complimentary breakfast, evening social event, outdoor terrace with built-in grill, outdoor swimming pool, fitness center and business center. Scott Hall, Tony Malk, Aaron Lapping and Blake Malecha with HFF represented the seller in the deal. 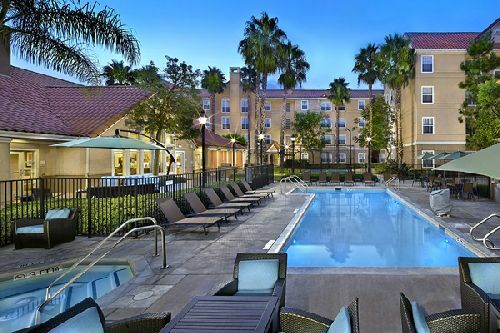 According to Hall, Pacifica Hotels’ purchase of the Residence Inn Anaheim Hills Yorba Linda is supported by the strong long-term lodging market fundamentals of Anaheim and Southern California.